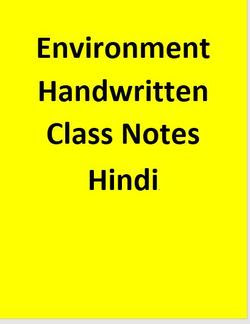 Today, We are Sharing Environment Hand Written Notes in Hindi PDF. These notes are important for UPSC, SSC, Banks and other State Exams. You Can Download PDF from Below Mention Downloading Link.